San Juan Bistro invites you to join us for a Trappist Ale Tasting on Wednesday, April 3rd, from 5:00-7:00. Enjoy and learn about four Trappist ales and enjoy specially paired appetizers. Besides the tradition of taste and quality, it is a story near and dear to the hearts of owners Richard and Sherri Daly. What makes it a Trappist Ale? Trappist Ale must be brewed by Trappist Monks or under their supervision in a Trappist Monastery. Revenue supports the monks and charitable causes. 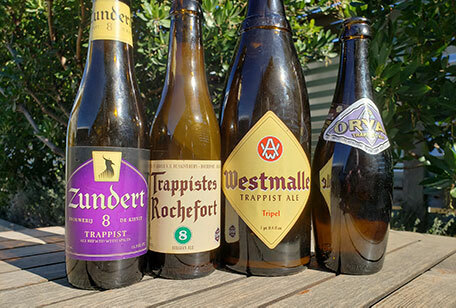 We invite you to sample four of our favorite Trappist Ales. Joining us will be Max Gilbertson from Dickerson Distributors to introduce these amazing Trappist Ales. Richard and Sherri hope you can join us!